Cameron, you’re as beautiful inside as out. Fun fact: Cameron Diaz has been a Lana Girl since 2003 when she stepped onto the red-carpet in the Large Three Tear Earrings for the premiere of Charlie’s Angles. 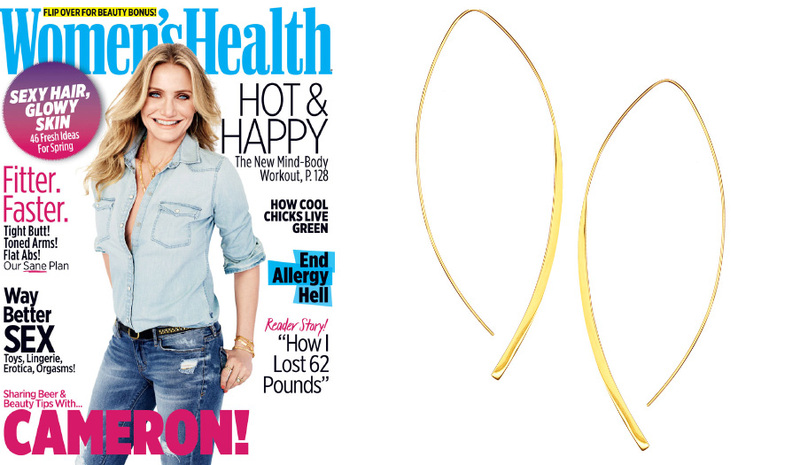 Cameron Diaz rocks the Lana Jewelry Large Arch Hoops on the cover of Women’s Health April issue. Styled by the amazing Women’s Health Magazine team, Jacqueline Azria and Jennifer Yoo.